Cozy layers are the way to go when the weather gets chilly or even downright cold. One of my favorite layering pieces is a super cute poncho, it’s perfect to pair with leggings or throw over any basic outfit to not only be warm but fashionable. 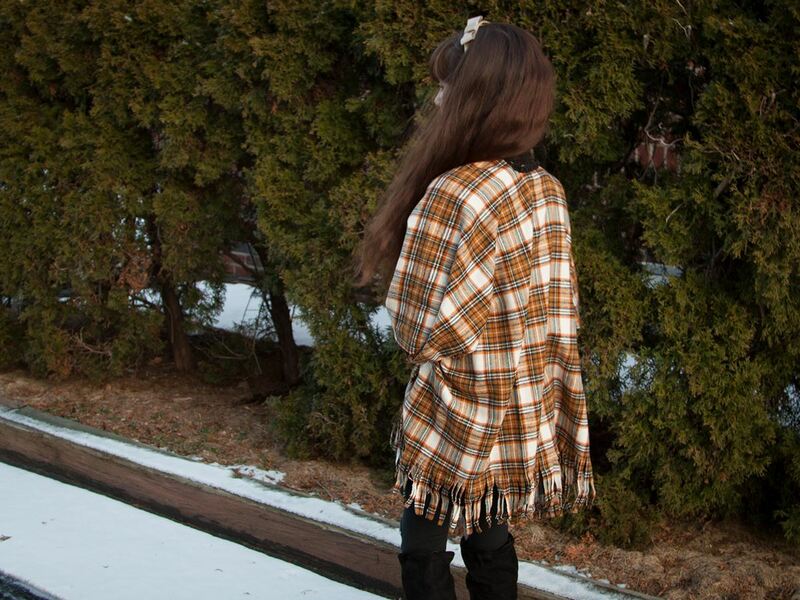 This cute DIY Poncho was made using a soft plaid flannel and Aleene’s Fabric Fusion, making it quick and fun with ‘no sewing’! Keep reading to make your own. The best part of this project (aside from the no sewing part) is that it can easily be translated to any size or into a cute summer cover-up using lighter fabric when the weather gets warmer!